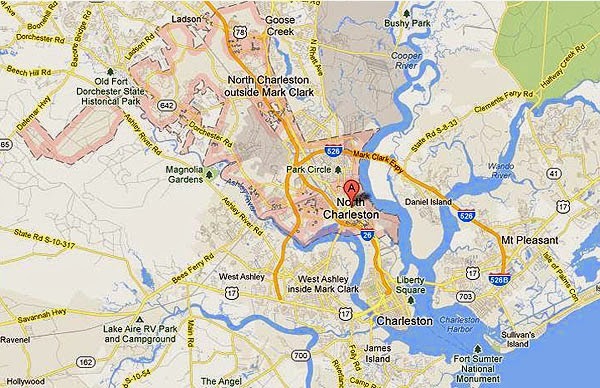 South Carolina’s third largest city, North Charleston has been the state’s leading retail center for more than 20 years straight and is one of the leading employment centers as well. 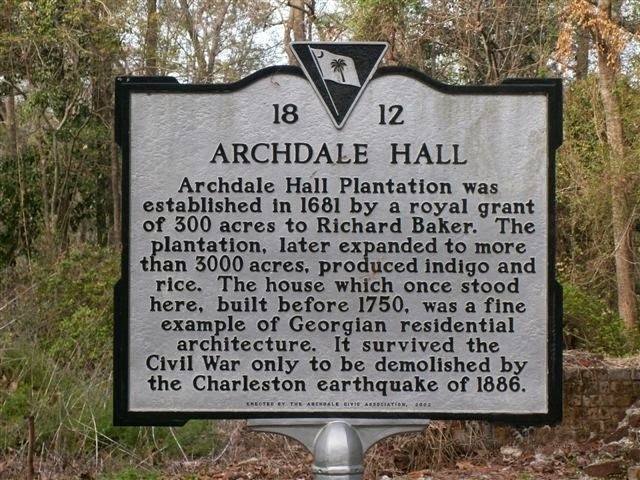 Once an area of large plantations that included Windsor Hill, Archdale Hall and Camp Plantation, North Charleston’s plantation-based lifestyle collapsed following the Civil War, replaced by phosphates taken from strip mines in the area. Used as fertilizers, the new industry was the first of many the growing city would see and included lumbering, a rubber company and naval shipyard. The city’s residential growth began in earnest in 1912 when a group of Charleston businessmen formed a development company and began to lay out Park Circle, a community designed and developed with space for commercial, industrial and residential use. The area remains to this day with some streets still bearing names of original developers. During World War II, the area’s industrial and economic base boomed with the addition of military bases and related industries. 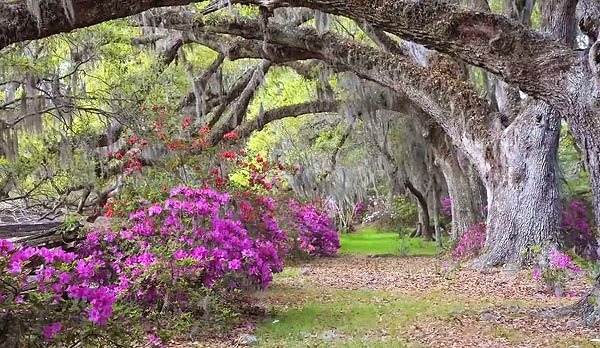 By the late 1960s, it was apparent to the area’s residents that North Charleston was and needed to be a separate city from that of Charleston, and in 1972 it was officially incorporated. With the annexation of the Naval Base, Air Force Base and Charleston International Airport in the mid-70s, the city grew to a size rivaling that of Charleston. While the eventual closing of the Naval Base was a major economic blow in the mid-1990s, the city has more than bounced back with major employers such as Boeing Aircrafts production facility. That facility made North Charleston one of the world’s major aircraft centers with thousands of good paying jobs. Today, the city is proud of its accomplishments such as the North Charleston Coliseum and Performing Arts Center, which plays host to national theatre productions, Broadway shows and more. Trident Medical Center is one of the area’s major healthcare facilities and one of many healthcare facilities in the North Charleston area. The city is the home of Trident Technical College and Charleston Southern University. The Lowcountry Graduate Center near the airport offers access to courses from the University of South Carolina, Medical University of South Carolina, College of Charleston, Clemson and other colleges. The city offers a top-rate parks and recreation system and is home to Wannamaker County Park, home to 1,000 acres of forest and wetlands crisscrossed by a network of hiking and biking trails. The park also offers an expansive dog park, education programs, a snack bar and more. During the warm months, the Whirlin’ Waters Adventure Waterpark at Wannamaker is a family favorite with 15 acres of water adventures, including a 27,000-square-foot wave pool. We have recently opened a new Century 21 office in Summerville SC which services all the Charleston and North Charleston area real estate needs. 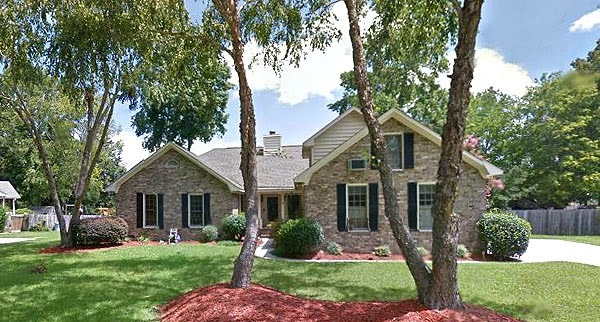 See our website for more about the area, and search for available homes for sale.